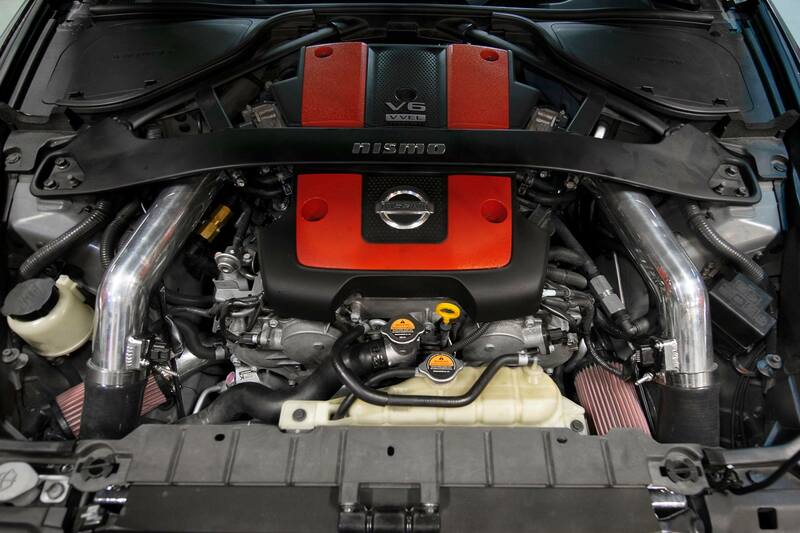 Steve’s 2012 Nissan 370Z NISMO is wrapped up, calibrated, and ready to roll! This round, Jared set the VQ37VHR up with a twin turbocharger system from AAM Competition, LLC featuring BorgWarner Performance AftermarketEFR 6758 turbochargers, HKS Hi-Power exhaust system, Injector DynamicsID1050X fuel injectors, PMAS MAF sensors, AEM Performance Electronics320lph in-tank fuel pump, Tru Boost gauge & controller, oil pressure gauge, wideband air:fuel ratio gauge, CSF Radiators triple-pass aluminum radiator, NISMO thermostat, TEIN Master Shop Flex coilovers, and a South Bend Clutch DXD Stage-III clutch kit & flywheel. 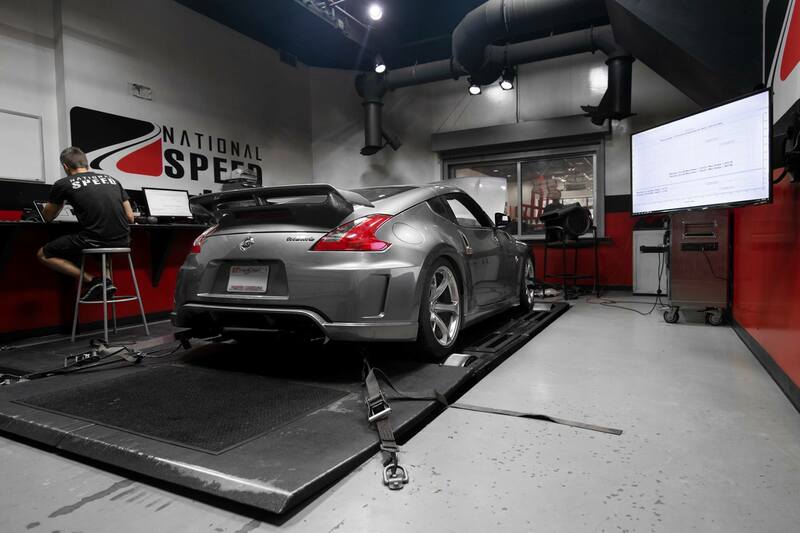 With the mechanical work completed, Vlad got to work calibrating the twin turbocharged Z34 NISMO via UpRev, and on 93 octane, was able to exact 564.63whp & 497.40lbft at 12.80psi! 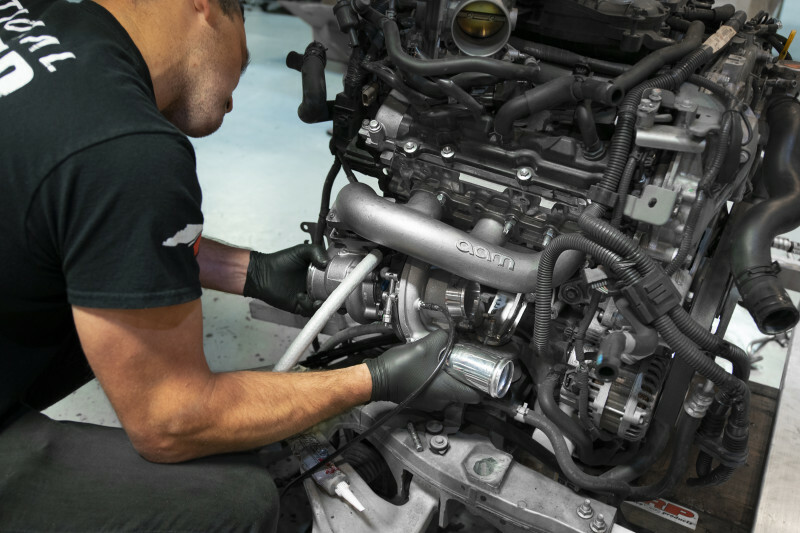 Check out the power difference the extra 2psi made from 10.67psi (spring pressure) to 12.80psi — nearly 50whp & 50lbft! With plenty of headroom to go, we’re delivering the project at this power level for Steve to get used to the additional 250whp over stock — definitely an easy 600-650whp on pump gas in the future! Reach Out To National Speed Today To See What We Can Do For You!